Dr. Burkett is Resident, Section of Female Pelvic Medicine and Reconstructive Surgery, Medstar Washington Hospital Center; Washington, DC. Dr. Iglesia is Director, Section of Female Pelvic Medicine and Reconstructive Surgery, Medstar Washington Hospital Center; Professor, Departments of ObGyn and Urology, Georgetown University School of Medicine, Washington, DC. She is a member of the OBG Management Board of Editors. Mr. Velasco is Videographer II Video Media Specialist, Digital Media Services, Medstar SiTEL (Stimulation Training and Education Lab), Medstar Health. Dr. Duong is Resident, Section of Female Pelvic Medicine and Reconstructive Surgery, Medstar Washington Hospital Center. Dr. Iglesia reports that she receives grant or research support from the National Vulvodynia Association, and has current financial relationships with UpToDate and the American College of Obstetricians and Gynecologists Patient Review Panel. The other authors report no financial relationships relevant to this video. 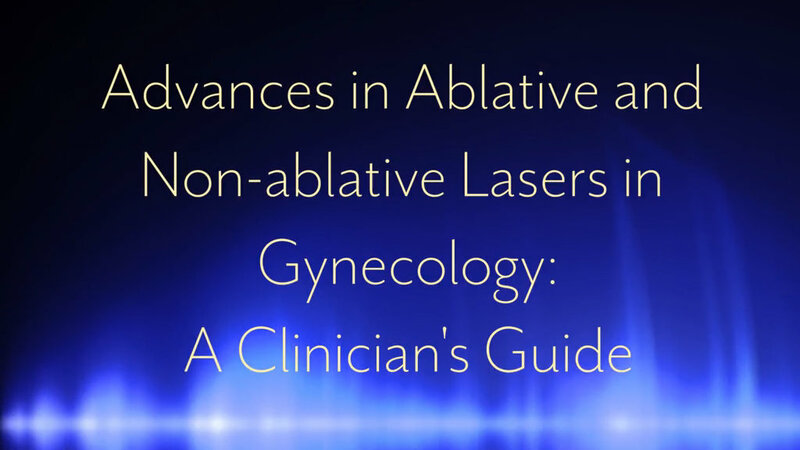 In a recent expansion of laser technology, dozens of manufacturers have started marketing fractional ablative and non-ablative technology for gynecologic office-based procedures. This technology has been used to treat conditions such as atrophic vaginitis, vaginal laxity, lichen sclerosus, and stress urinary incontinence. In this video, the authors describe the biophysics of fractional ablative and non-ablative lasers, provide a procedural demonstration, list outcomes from available research, and discuss ethical concerns.